Am/Aust Ch. 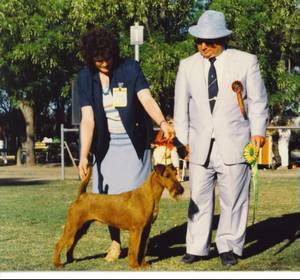 Aeriemars Riley ("Riley") being awarded Best in Group at the NSW Spring Fair by Lars Adeheimer. Another of our imports from the USA and leaving his stamp on the breed even today.